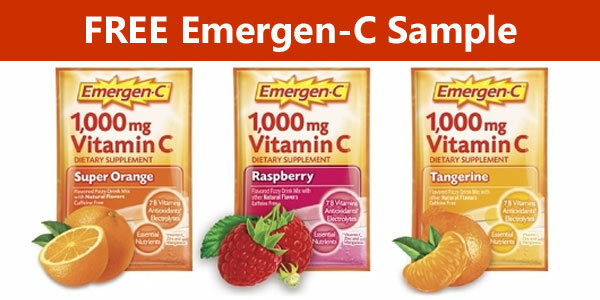 Want to try Emergen-C vitamin drink mix? Simply fill out the form and they will send you a FREE sample packet of Emergen-C.
Emergen-C offers a variety of Vitamin C supplements to help support the immune system and general health. Can you drink Emergen-C Daily? One Emergen-C packet delivers more than enough vitamin B6 over seven times the recommended amount of 1.3 mg per day for adults. It also contains Vitamin C and the adult intake level is 2,000 mg per day for adults ages 19 and older. Emergen-C packets contain 1,000 mg each. Is Emergen-C Good for Hangovers? You can fight a hangover with enough vitamins. Putting Emergen-C in your water before or after a night of drinking is a great way to boost your vitamin intake and hydrate your body.